James's blog, formerly Exploring Our Matrix, is now called Religion Prof.
Tactically, Hannibal had pulled-off what would become the chimera for all future commanders: a double envelopment of a superior enemy force, and a subsequent battle of annihilation. The German General Staff, in the days of the Kaiser, made a point of studying Cannae, Hannibal’s masterpiece. They considered this the epitome of tactical achievement, the blueprint for how a smaller army could defeat a larger. At Tannenburg, in East Prussia in 1914, they would put this study into practice; annihilating the advancing Russian Second Army. Cannae was Hannibal’s greatest victory; and his last great battle in Italy. Though he continued to campaign there for another thirteen years, the Romans avoided battle with him; hemming him into southern Italy with several armies utilizing the tactics demonstrated first by Fabius Maximus. THE ASOR BLOG: New Light on the Priestly Blessing from Ancient Judah (Jeremy D. Smoak). Until recently our knowledge of the background and early function of this blessing outside of the Book of Numbers was rather limited. This was largely due to the paucity of evidence for the blessing in ancient Judah dating to the Iron Age (ca. 1200–586 BCE). The discovery of several Iron Age inscriptions from the regions of Syria and Palestine, however, has begun to shed new light on the early function of the blessing. Also, some thoughts on the use of the blessing against demonic evil. Past posts on Jeremy Smoak's work on the priestly blessing are here and here. Other past posts on the Ketef Hinnom silver amulets (which contain a version of the priestly blessing) and the priestly blessing itself are here (cf. here and here) and links. READING ACTS: Kingdoms of the World – Sibylline Oracles Book 3.1-294. Past posts in the series on the Sibylline literature are noted here and links. Cross-file under Old Testament Pseudepigrapha Watch. He doesn't elaborate on how it is different, so I guess we'll just have to find out when it comes out. ARCHAEOLOGY: Archaeologists reveal secrets of Roman prison that held both Christian saints and Jewish rebels. The Tullianum dungeon, older than Rome itself, was where Romans locked up their worst enemies: from the Great Jewish Revolt leader to (supposedly) St. Peter and St. Paul (Ariel David, Haaretz). One of the world’s oldest and most terrifying prisons, reserved for ancient Rome’s fiercest enemies, has reopened to the public after years of excavation that have revealed new clues about the very birth of the Eternal City itself. The Carcer Tullianum (Tullianum Prison in Latin) is notoriously known as the squalid underground dungeon where the Romans would lock up enemy leaders, including Simon Bar Giora, one of the architects of the Great Revolt of 66-70 C.E. Other honored inhabitants, according to medieval Christian tradition, were the apostles Peter and Paul. But the three-year excavation has shown that the structure, located between the bottom of the Capitoline hill and the entrance of the Forum, was much more than just a prison, and may in fact predate the founding of Rome itself. Much of the article is about the earlier phase of the structure when it was a "cultic center." But the latter part comes back to its use as a prison. It doesn't sound very nice. The use of the Tullianum as a prison became common sometime during the Roman Republic, around the fourth century B.C.E. The once large, airy sanctuary was divided into two vaulted, claustrophobic levels, the lowest of which encased the spring and was accessible only through a tight opening, still visible today, used to lower prisoners into what must have seemed like a dark and foul-smelling antechamber to Hell. “It was not a prison in the way we think of it today,” Fortini said, noting that long-term incarceration was rare in the Roman world. Monetary fines, enslavement, and various cruel and inventive forms of execution were a more common fate for criminals or captured enemies. The Tullianum usually served as a holding cell for high-value captives waiting to be paraded in the triumphal procession led by the general who had vanquished them. They would then be returned to jail, to be starved to death or quietly executed, usually by strangulation, Fortini said. One of the few who made it out alive was Aristobulus II, the Hasmonean king of Judea who had been imprisoned there by Pompey. The Jewish historian Josephus relates that when Caesar took control of Rome he freed Aristobulus, hoping to use him to foment rebellion in the Levant against his rival, but the Judean king was soon poisoned by Pompey’s followers. ANCIENT JEW REVIEW: Creation and Creativity: Teaching Critical Thinking Beyond the Term Paper (Sarit Kattan Gribetz). Last year, I learned that the best way to encourage my students to approach ancient sources seriously, critically, and honestly was to let them run wild and turn them into NPR segments, YouTube clips, and Spoken Word poems. In the process, they became exegetes, redactors, historians, critics, and theologians. In a course titled “Sacred Texts of the Mideast,” my students read narratives about the origins of the universe and the creation of humanity in a range of texts from the ancient and medieval Middle East. We began with Babylonian creation myths such as Enuma Elish and worked our way through Genesis, Psalms, Wisdom literature, Jubilees, Philo, Paul and the Gospel of John, Revelation, Athanasius and Augustine, the Nag Hammadi codices, rabbinic sources, Jewish and Christian liturgical poetry, Manichaean and Zoroastrian texts, Qur’an and hadith, al-Tabari and Ikhwan al-Safa, and Maimonides. Each week, my students wrote response papers to practice analyzing our sources carefully and critically. When it came to their final projects, though, I wanted them to approach these same sources from a different perspective – a personal one. Including: Philo of Alexandria meets interpretive dance. — IN A MUSEUM, THAT IS: Calavers County museum discovers ancient oil lamp in its collection. Sixth century Holy Land relic found in jailhouse kitchen (Charity Maness, The Calaveras Enterprise). Found amid the other miscellaneous items one would find in a museum jailhouse kitchen was an unexpected surprise for Calaveras County Historical Society office Manager Karen Nicholson: a sixth century Holy Land oil lamp in practically mint condition. The markings on the lamp, according to experts, are fairly consistent with the dating. Often referred to as a slipper lamp or a Byzantine slipper lamp, the lamp was common in Jewish and Christian homes alike during the ancient Byzantine Empire, Phoenicia and Judea around 500. All those places are in what we now call the Middle East. One finds these things in California. Arrests for illegal renovations of Dome of the Rock. TEMPLE MOUNT WATCH: Police detain 5 Wakf members for illegally renovating Dome of Rock. Arrests come 1 week after Wakf members assaulted Jewish archeologists at contested holy site (Daniel K. Eisenbud, Jerusalem Post). Police detained five members of the Wakf Islamic trust on the Temple Mount on Thursday for violating archeological laws. According to police, the suspects erected scaffolding next to the Dome of the Rock and proceeded to make illegal structural changes without coordinating with the Antiquities Authority. It is believed that the First and Second Temples once stood where the Dome of the Rock is located. Again and again and again, no construction or excavation on the Temple Mount! Not even archaeology, until we have non-invasive and non-destructive technologies to do the work. Recently it has become an issue that various Jewish groups are talking about clearing off the Temple Mount and rebuilding the Temple — which is out of the question. But so far that's just talk. Let's not forget that for many years the Waqf has actually been excavating and constructing on the Temple Mount. See, for example recently, here, here, and here and follow those links. Or go to the search engine and read the endless posts on the Temple Mount Sifting Project. I understand that experts disagree on exactly where on the the Temple Mount the Temples stood, but the third paragraph quoted above could have been phrased more robustly. Say, "The First and Second Temples stood on the Temple Mount and many specialists believe they were located where the Dome of the Rock is now." I don't think the following was the intention of the author, but as currently phrased, the sentence could be taken to say that that it is only "believed" that the Temples once existed at all. Detailed discussion of the issue is (for example) here and links. The Jewish Press has a slightly different version of the current story, in which six people were arrested: Waqf Engineer Distanced from Temple Mount. The engineer and five of his workers were given distancing orders from the Temple Mount for 5 days. The alleged assault of an archaeologist by Waqf personnel was noted here and here. YAZIDI WATCH: Yazidis Mark Second Anniversary of Islamic State Massacre (Kawa Omer, Sirwan Kajjo, Voice of America). With vigils and demands to free the enslaved, Yazidis in Iraq and throughout the world on Wednesday commemorated the second anniversary of a massacre committed by Islamic State militants in Sinjar. At least 5,000 Yazidis, mostly men and boys, were killed during the 2014 attack on the Iraqi city. The United Nations reported Wednesday that the religious minority continues to suffer at the hands of IS. “Two years on, over 3,200 women and children are still held by IS and are subjected to almost unimaginable violence,” the U.N. Commission for Inquiry on Syria said. The commission was referring to the Yazidi women and girls who were taken as sexual slaves by IS militants. Most of them are being held in Raqqa, the IS de facto capital in Syria. In November 2015, Iraqi Kurdish forces known as Peshmerga, with the help of the U.S.-led coalition, liberated Sinjar from IS militants. “I would like to express my gratitude to the coalition, which is led by the United States,” Hazim Tahsin, a Yazidi spiritual leader, told a gathering Wednesday at Lalish Temple in northern Iraq, the most sacred Yazidi site, to remember the genocide’s victims. The city is now under Kurdish control, but many Yazidis still feel it is not safe to return to their homes. Thousands of Yazidis remain in refugee camps inside Iraq and across the Middle East. I noted what was happening at the time here and here. Some pertinent related comments are here. For much more on the Yazidis (Yezidis), their Gnosticism-themed religion, and their tragic fate in the hands of ISIS, see here (cf. here) and follow the links. HISTORY: In Saudi Arabia, Jewish sites with ancient resonance beckon. For now, Israelis are not allowed into Saudi, and Jews are at best grudgingly admitted. But with ties just possibly warming, a Jewish history dating back millennia might soon be more accessible (Jessica Steinberg, Times of Israel). For more on Jews in pre-Islamic Saudi Arabia, see here and links. And there is more on Aramaic in ancient Saudi Arabia here and links and in Arabia more generally here and links. Cross-file under Aramaic Watch. ETC BLOG: The Composite Ancestry of the Big Codices (Dirk Jongkind). The study of those manuscripts that contain the text of all of the Greek Scriptures is still relatively underdeveloped. There are still plenty of questions to be asked about the Greek pandects of the 4th (Vaticanus, Sinaiticus) and 5th centuries (Alexandrinus, Ephraemi rescriptus), but also about some of the later ones. The New Testament, the Septuagint, and the Old Testament Apocrypha and Pseudepigrapha are involved. PALMYRA WATCH: IS destruction too extensive to restore Temple of Bel in Syria’s Palmyra. Save the rubble and dust for when we have nanotechnology. Background on Palmyra is here and many, many links. FOR YOU, SPECIAL DEAL: Sale, Four Days Only: A Dictionary of Jewish Babylonian Aramaic of the Talmudic and Geonic Periods - now at discount of 60 % off the catalog price (Bar-Ilan University Press). The description of the book is here: A Dictionary of Jewish Babylonian Aramaic of the Talmudic and Geonic Periods, By Michael Sokoloff. YONA SABAR: Hebrew word of the week: Hammah (sun, hot). Even words such as shemesh “sun,” the common word in the Bible and modern Hebrew, was called Hammah “(the) hot one” in Rabbinical Hebrew. PUNIC WATCH: Ancient Rome’s Darkest Day: The Battle of Cannae (Evan Andrews, History.com). It was the bloodiest battle the ancient world had ever seen. During the Second Punic War on August 2, 216 B.C., a Carthaginian army under the general Hannibal clashed with eight Roman legions near the Italian city of Cannae. Though heavily outnumbered, Hannibal used a famous double-envelopment tactic to surround the Romans and trap their army. By the time the slaughter finally ended, at least 50,000 legionaries lay dead and Rome faced the greatest crisis in its history. Nice video. Hannibal won the battle but lost the war. Past posts involving the Battle of Cannae (which, perhaps surprisingly, has been in the news lately) are here and here and links. ETC: 2016 ISBL Paper Summaries (Peter Gurry). The International SBL finished a few weeks ago in Seoul, South Korea. I did not go, but Jacob Peterson did and he has kindly agreed to summarize the text critical papers he attended for us. Thanks, Jacob. Indeed. The papers mostly dealt with the textual criticism of the New Testament, but also of the Hebrew Bible and the Septuagint. READING ACTS: Sibylline Oracles, Book 3. Past posts in the series on the Sibylline literature are noted here and links. Cross-file under Old Testament Pseudepigrapha Watch. AWOL: Six More Brill Journals in JSTOR. The first and some of the others regularly publish articles relevant to ancient Judaism. TEMPLE MOUNT WATCH (POTENTIALLY): Temple Institute Crowdfunding to Train Cadre of Qualfied Priests (David Israel, Jewish Press). The Temple Institute will be opening the world’s first school for training Levitical Priests to serve in the Holy Temple this year in Jerusalem. The organization has run a number of pilot programs over the past few years and is now embarking on a mission to teach Kohanim all the practical skills required to serve in the coming Third Holy Temple. Sure, train away, but no excavation or construction on the Temple Mount! Not even archaeology, until we have non-invasive and non-destructive technologies to do the work. And no demolishing of ancient monumental architecture. Leave that for the likes of ISIS. But I repeat myself. Background here and here and links. THE BIBLICAL REVIEW BLOG: Pseudepigrapha Saturday: Eldad and Modad. Actually this one came out last Sunday. It is correct that Eldad and Modad is only quoted explicitly by title once, in the Shepherd of Hermas. But it may be mentioned and quoted in other places and may even be quoted in the New Testament in the Epistle of James. It was treated briefly by E. G. Marshall in Charlesworth's Old Testament Pseudepigrapha, 2:463-65 and then again more recently and at greater length by Richard Bauckham in Old Testament Pseudepigrapha: More Noncanonical Scriptures (Ed. Bauckham, Davila, Panayotov; Eerdmans, 2013), 1:244-56 (and see the bibliography there). This Pseudepigrapha Saturday blog post appears just to be introductory, so perhaps William Brown will be following it up with more details in future posts. NOW RUNNING: Papyrology and Ethics: Next Week in Barcelona. At the Faces and Voices Blog, Roberta Mazza shares her conference paper for the 28th International Conference of Papyrology. Also, at What's New in Papyrology: Barcelona Congress, Day one. HISTORIC ARCHITECTURE: Kurdistan official launches appeal to save Jewish tomb. The ancient tomb of the Prophet Nahum will crumble if preservation efforts are not made soon (Tamara Zieve, Jerusalem Post). The tomb lies inside a synagogue in the Christian town of Al Qosh, whose doors are guarded by a Christian family who reportedly promised the town’s long-departed rabbi to safeguard it. Mamsani warns that it could be just a matter of days before the ancient tomb crumbles to its ruin. He says he has been holding urgent meetings with the ministries of tourism, culture and religious affairs to ask for help in preserving the historical site. He has also appealed to UNESCO and told The Jerusalem Post he has a meeting scheduled with a representative in Erbil in the coming days. Past posts on the (traditional) Tomb of Nahum in Al Qosh are here, here, here, here, here, and here. It doesn't sound as though the earlier reported plans to renovate the building came to anything. I hope that this appeal is more successful. THIS WEEK'S DAF YOMI COLUMN BY ADAM KIRSCH IN TABLET: Law v. Lore. In this week’s ‘Daf Yomi,’ competing strands of legal wrangling and storytelling in the ancient compendium of Jewish thought. Perhaps the ideal, however, is to value both strands of the Talmud equally. If aggadah exercises the right brain, home of intuition and imagination, halakha makes heavy demands on the left brain, home of calculation and reasoning; and just as the brain requires both hemispheres to function, so the Talmud requires aggadah and halakha to communicate its truths. This was the message of a striking story in this week’s Daf Yomi reading, which comprised Chapter Six of Tractate Bava Kamma. It once happened that Rav Ami and Rav Asi sat before Rabbi Yitzhak Nappacha: “One Sage said, Let the Master say words of halakha, and the other Sage said, Let the Master say words of aggada.” Whichever Yitzhak tried to say, one of his pupils would protest. Earlier Daf Yomi columns are noted here and links. 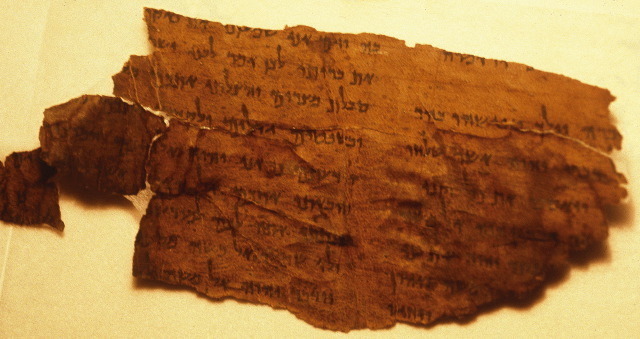 Some past PaleoJudaica posts dealing with halakhah and aggadah are here, here, and here. And there's more on warriors as scholars in the Talmud here. READING ACTS: Biblical Studies Carnival July 2016. Phillip Long mentions that in his ongoing series on the Old Testament Pseudepigrapha (now covering the Sibylline Oracles and to which PaleoJudaica has been linking) he hopes to get through 2 Baruch and 4 Ezra before summer's end. Looks useful. Cross-file under Coptic Watch. BIBLIOGRAPHIA IRANICA: The Star of Bethlehem and the Magi. Notice of a new book: Barthel, Peter & George van Kooten (eds.). 2015. The star of Bethlehem and the Magi. Interdisciplinary perspectives from experts on the ancient Near East, the Greco-Roman world, and modern astronomy (Themes in Biblical Narrative 19). Leiden: Brill. Past PaleoJudaica posts on the Star of Bethlehem and the Magi are collected here. TEMPLE MOUNT WATCH: Waqf guards to stand trial after attack on Temple Mount. Following violent attack on group of archaeologists on Temple Mount by Waqf guards, police gather enough evidence to bring them to trial; victim: 'It was almost a lynch. They started punching and kicking. We are still shaken up' (Roi Yanovsky, Ynet News). One of the archaeologists has posted an eyewitness account of the incident, with photographs: Violence on the Temple Mount. HT Joseph Lauer for both links. Meanwhile, from the mainstream media, crickets chirping: The BBC Ignores Another Story on the Temple Mount (Hadar Sela, The Algemeiner). THIS DAY IN JEWISH HISTORY: 388 CE: Christians Burn Down Synagogue, Emperor Seethes. The appalled Emperor ordered the early Christians to compensate the Jews, but Bishop Ambrose would have none of that (David B. Green, Haaretz). On August 1, 388, C.E., an angry mob of Christians in the town of Callinicum, in the Roman province of Osrhoene, burned a synagogue to the ground. It was not the first time that a Jewish place of worship had been destroyed by Christians in the early decades after the adoption of Christianity by Emperor Constantine. But the responses elicited by the fire, first a condemnation by the current emperor, Theodosius, and then in reaction to that by a leading bishop, have gone down in history for the insight they give to the ambivalent attitudes held toward Jews in the ancient Christian world. READING ACTS: An Extract from Pseudo-Phocylides – Sibylline Oracles, Book 2.56-148. Past posts in the series on the Sibylline literature are noted here and links. Cross-file under Old Testament Pseudepigrapha Watch. Incidentally, William Brown recently had a post on Pseudo-Phocylides in his Pseudepigrapha Saturday series at The Biblical Review Blog. (I shall doubtless have occasion to mention this series again.) I am unconvinced that Pseudo-Phocylides is of Jewish provenance. It could be, but the content is pretty generically biblical and it could be Christian or something else. THE FRANKEL INSTITUTE FOR ADVANCED JUDAIC STUDIES (UNIVERSITY OF MICHIGAN): Fellowship Opportunity, Theme 2017-18: Jews and the Material in Antiquity. The Frankel Institute’s 2017-2018 theme year will ask how Jews in the ancient world related both to matter itself and to issues of materiality. How did ancient Jews sense, understand, and even construct material entities such as artifacts, bodies, environments, and so on? How did those who were not Jewish perceive or represent the relationships between Jews and matter? Finally, how has the history of Jews and matter been reconstructed in modern scholarship and how might scholars approach the nexus of Jews and the material more productively? Follow the link for additional details. Application information is here. Asatrian, Garnik S. & Viktoria Arakelova. 2014. The religion of the Peacock Angel: the Yezidis and their spirit world. PHOENICIAN AND PUNIC WATCH: Rev. Dr. Frank L. Benz (Dunn County Herald). Rev. Dr. Frank L. Benz, 86, of Loveland, Colo., formerly of Dubuque, Iowa, passed away on Monday, July 25 in Loveland, Colorado. Memorial services will be held on Saturday, July 30 at 4 pm at Trinity Lutheran Church, Loveland. Frank was born on March 14, 1930 and raised on his parents’ ranch homestead in Dunn Center, North Dakota along with three sisters and eight brothers. He graduated from Wartburg College in 1954 with majors in German and New Testament Greek. During his years of study for ministry at Wartburg Theological Seminary (1954-1958) he was asked by the faculty to forego his year of internship to teach Beginning Greek and Hebrew for two years while completing his senior courses. In 1958 he enrolled for graduate studies in the Department of Near Eastern Studies of The Johns Hopkins University, Baltimore, MD. He and Joyce Schumann, an executive secretary in the home offices of the Kimberly-Clark Corp. in Neenah, WI, were married in 1959. In Baltimore she took a job at the McCormick Spice and Tea Co. as secretary to the treasurer. Frank was called back to Wartburg Seminary in 1960, but given leave to complete his degree studies. His doctoral dissertation, Personal Names in the Phoenician and Punic Inscriptions, was published by the Pontifical Biblical Institute Press in Rome. It continues to be a valuable resource for scholars in the Semitic field of study. Yes, it does. It has even been cited by PaleoJudaica. Requiescat in pace. PUNIC WATCH: Numidian Cavalry in 28mm... (Robin Buckland, Miltary Modeling). VXA022 Numidian Cavalry are now on general release. - 12 highly detailed models at £19.95. Victrix are really pleased to announce the release of the 28mm hard plastic Numidian cavalry. This is a 12 miniature set packed with pose options and fantastic detail. The Numidians were from North Africa, around modern day Tunisia and Morocco. They were superb light cavalry and supplied large quantities of horsemen to their... close neighbours the Carthaginians. Numidian cavalry excelled in skirmishing, hit and run tactics. They would shower their enemy with javelin fire and run away to avoid contact and then wheel around again to pelt the enemy with yet more missiles. They were often used as scouts and in pitched battles would outflank the enemy and wait in ambush. They fought brilliantly for Hannibal during the second Punic wars, being major factors in his defeats of the Romans at the Trebia, Lake Trasimene and Cannae and they were also responsible for beating the Romans in Spain at the battles of Castulo and Ilorici under their charismatic and brilliant chieftan Masinissa. Some past PaleoJudaica posts that deal with the Second Punic War and some of the battles named above are here, here, here, here, here, and here. And this post is related in more ways than one. NEWS YOU CAN USE: Ancient Egypt: A Brief History (Owen Jarus, Live Science). It's worth mentioning that ancient Egypt, notably Alexandria, but also other places such Elephantine, had a substantial Jewish population in the Persian and Hellenistic periods.